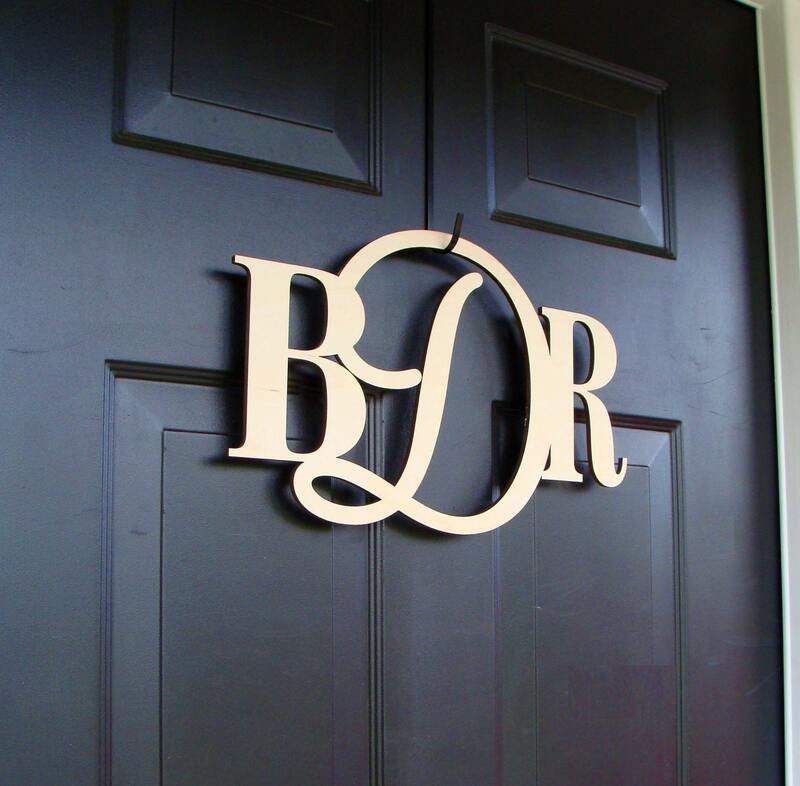 This is an UNFINISHED, indoor / outdoor wood, three letter monogram composed of premium Baltic Birch wood. This particular monogram is 10 inches high and 16 inches wide but the width will vary slightly based on letter selection. If you need a specific custom size please email me for a quote. 1) Enter your three letter monogram in the comments section at checkout. The Third picture shows the alphabet for the central letter (last name) although I can create a monogram with ANY font/style you'd prefer. 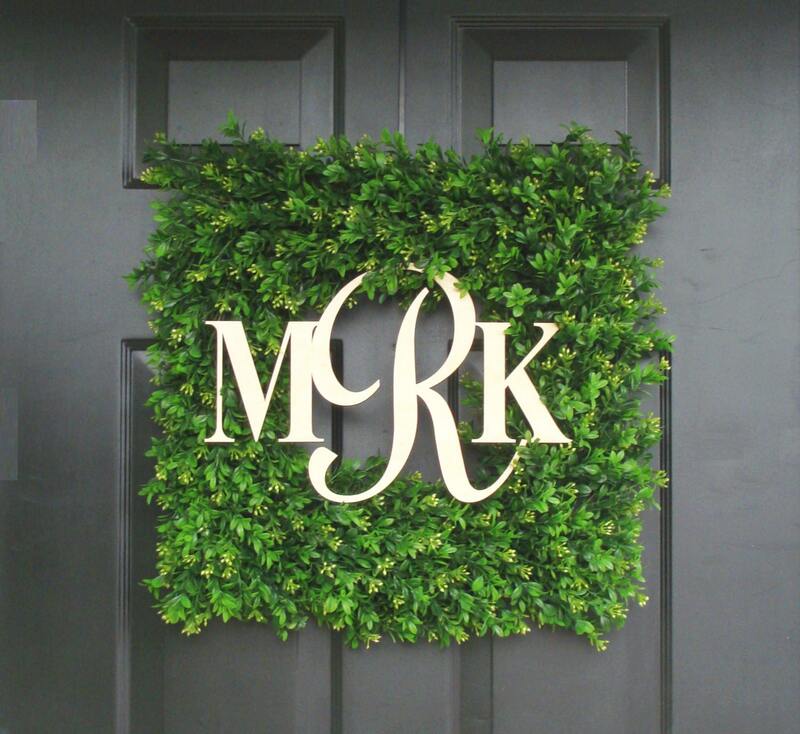 **WHY Not Create your very own MONOGRAM WREATH with your personal Monogram? See my shop for great examples of these wonderful creations. **This is a custom item. 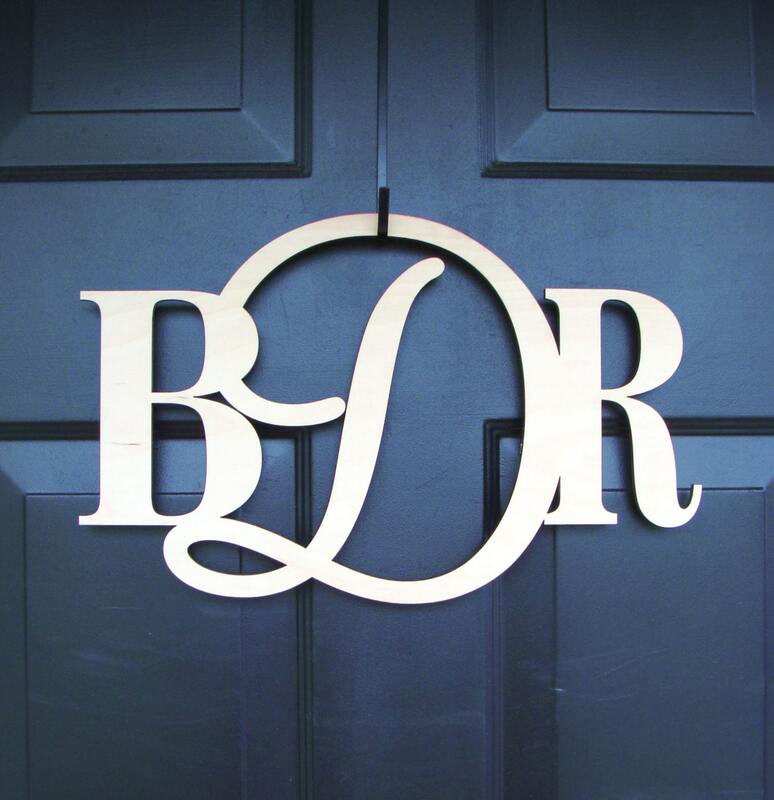 Once an order is placed, I will always send a final digital copy of your connected monogram for your approval before creation. Once approved, the order is final and not refundable. Thank you for your understanding. 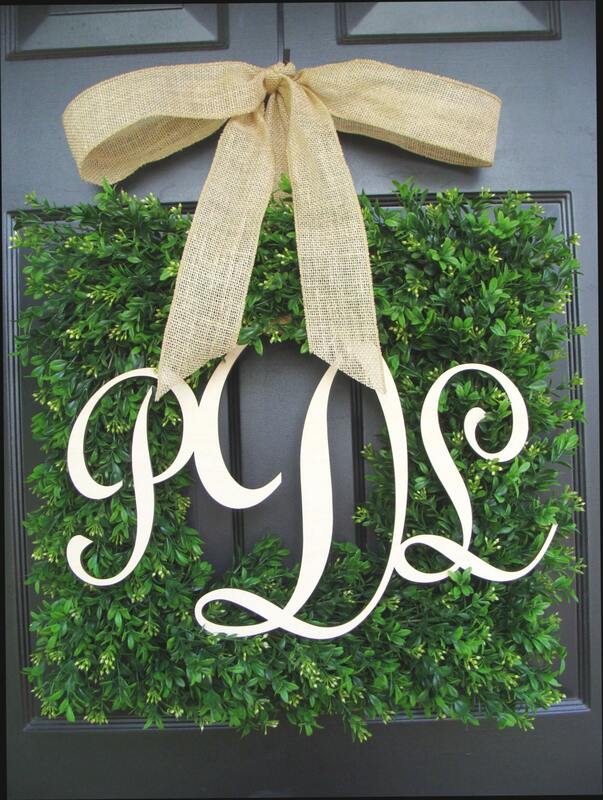 This is the second time I purchased a monogram from Elegant Wreath. As with the first, answers to questions and the product were delivered in a timely manner. I gave this as a gift to someone who has repeatedly admired my original order. He was impressed enough with his own to request ordering information so he too can gift one to a friend. Exactly as ordered and prompt delivery! Shannon made the whole process smooth and easy! Very pleased with the monograms purchased. All gift recipients are thoroughly enjoying them. Items shipped on time and seller easily accommodates your specifications and adds her recommendations.